Delta Industrial Supplies Pvt Ltd plans to build a 3300 MT Cement factory for Middle east on which SBM is providing the complete set of cement machinery and equipment. This cement factory is planed 3000 MT and able increase to 1,000, 000 Tons. Delta Industrial Supplies Pvt Ltd has extensive experience on clinker industry, and has several cement factories in India, and other countries. SBM is specialized in providing complete set of cement machinery and equipment:vertical cement mill,cement grinding mill and have great comprehensive ability to provide best quality services on turn-key basis with technology design, civil construction, complete plant, erection and trial test, commissioning for rotary kiln cement factories. 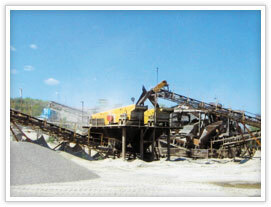 SBM provides lime stone crushers such as jaw crusher, impact crusher and hammer mill and ball mills for this cement factory.